Why not ? Because a Software Defined Network (SDN) is not a thing. 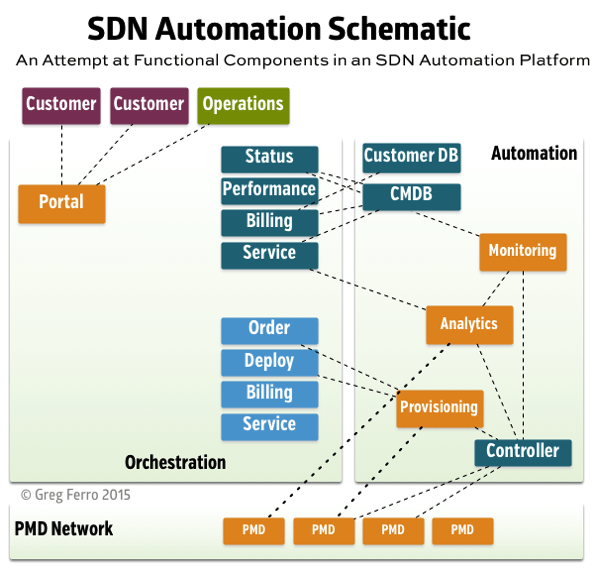 It is not a single thing, SDN is a built thing made of many elements. You can’t buy a “routing protocol”. You don’t buy a “security strategy” or a “network management“. You don’t buy a “data centre”. All of these things are built or developed by a team of IT people and various vendor products or open source tools. Then you have to put the parts together, smooth out the interfaces and make them work for your business. Thats why you can’t by an “SDN”. You have to build one that works for you. You’re completely right, and a bit wrong. Commodity hardware and open software have nothing to do w/ SDN. Everything is software defined, but few products aid in that definition. Commodity and open are simply characteristics of the products that fall in line with the direction organizations require. It’s probably worth mentioning that you can’t buy security either. For very similar reasons.